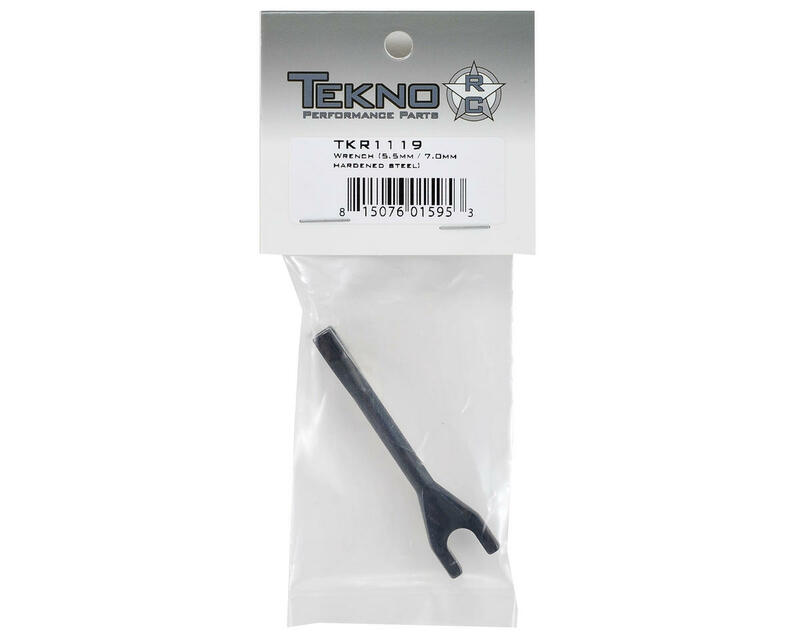 This is an optional Tekno RC Hardened Steel Turnbuckle Wrench, with a 5.5mm and 7mm end. 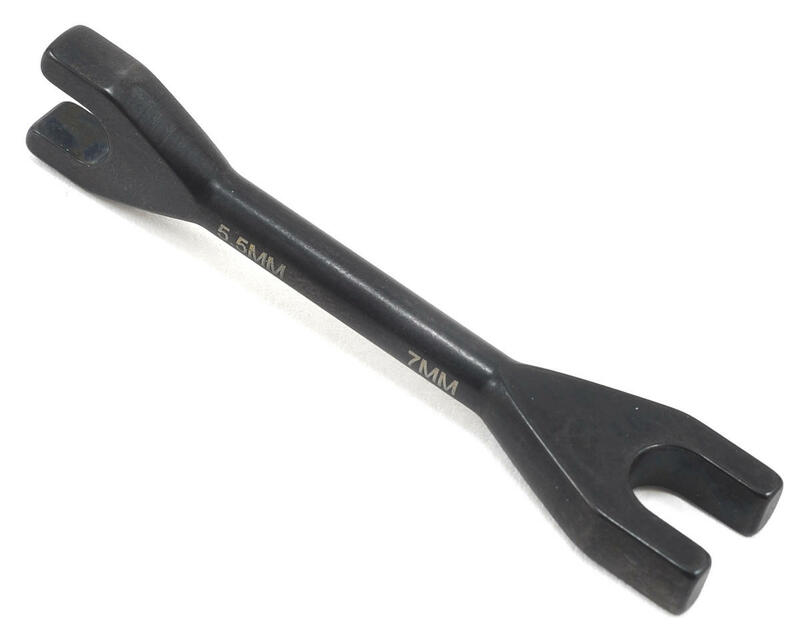 This dual ended tool is perfect for any application requiring a 5.5mm (M3 nut) or 7mm (M4 nut) wrench. It is compact and extremely durable so it fits in the tightest spaces and can be used to really crank on those nuts! There simply is no better wrench on the market for these applications. These 2 little tekno wrenches are awesome. They make building turnbuckles super easy, as well as adjusting them once they are installed on the car. I also have the shock multi tool and the wheel wrench and all of the Tekno tools are great! They have helped me a ton while building and working on all 3 of my Tekno kits over the last few weeks. Great little wrenches. Simple tool that is built strong and gets the job done perfect.